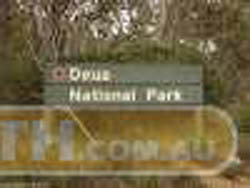 Deua National Park is about 12 minutes from the township of Moruya and it has tracks to explore. There are good four-wheel driving opportunities throughout the park, taking you to areas such as Bendethera camping area, Bendethera cave, Dampier Trig and Big Badja Hill. Take the Merricumbene and Dampier fire trails to access these areas. Some fire trails have been locked at the private property boundaries and you\'ll need the permission of the landholder before you enter. This trip in the Deua NP at the intersection of Western Boundary & little Sugarloaf Roads to Bendethera. Return is via The exiting Merricumbene fire trail to Dry Creek, then the Araluen Rd to Moruya.